And this, folks, is why little girls should NOT be given access to potentially world-destroying technology... how often do we need to learn this lesson? Anime will do until I actually get a life. It appears that the world the show is set in probably isn't actually the earth but rather an artificial space or dimension where elements from the original are replicated via advanced technology of some form or another. Wakaba's job seems to be to replicate and preserve the the cultural assets of alien societies he or his species has encountered. It's almost like he is a curator for some sort of grand museum where they copy and preserve the great engineering works of advanced civilizations. 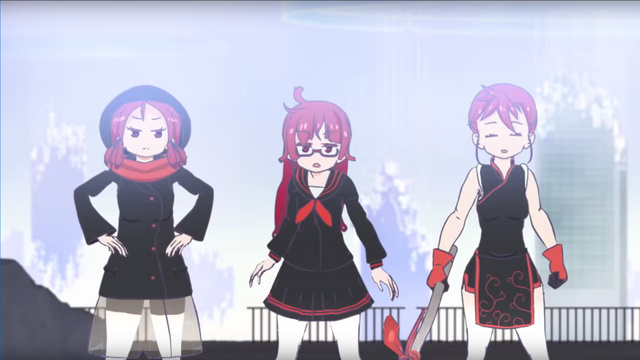 Earlier in the series I had guessed the red kemurikusa was likely some sort of malfunctioning or glitchy technology. It turns out it is working exactly as it was designed to. It was its creator that made a terrible error in judgement rather than a malfunction in the red kemurikusa itself. Basically the little human girl built a nasty self replicating technological virus. Oh, sure — it is indeed implied he's some kind of curator, that he seems to be in the process of making some kind of replica of Japan, and that our protagonists are wandering in this replica. But still, all that's still nebulous, and pretty strange on top. What I meant was that I'm glad it wasn't just "oh, the nanobots went out of control and ate the earth." Whether or not it's nanobots doesn't bother me; that it turned out much more complicated and unusual is what made me happy. Though now the scenario is kind of depressing: the girls had to go through all those struggles because of Wakaba's gross negligence. That, or whatever organization he works for has poor oversight. "Someday you'll learn to play pinball." It's true that his negligence caused their suffering in that he broke the rules to bring the little girl back to life to begin with. He is solely responsible for the fact that they exist. His original sin was allowing his kindness and loneliness to get the better of him and resurrecting that human girl. He further compounded that mistake by kindly giving her the freedom to roam and explore as she pleased which she then cleverly used to engineer the end of the world. Again, this was another example of a mistake made out of misguided compassion and loneliness. Is perhaps the moral of the story thus far that kindness is destructive and evil? I'm mostly joking, but there is certainly a bit of a running theme in this show about the road to Hell being paved by good intentions. I think ultimately the story's thematic arc will be something along the lines of for better or for worse human compassion is what gives our lives meaning, and is often both the cause and solution to our trials and tribulations. Did I miss something? I got that he brought her back to life (whatever that means), but I feel like I was left with the impression that the fact that she died had something to do with Wakaba and his curator duties. Not that it was his fault or anything, but that it was more than just Wakaba seeing some random girl in an accident and healing her. I think the Riri appears just like how Wakaba appeared in the 1st episode: Suddenly appeared in a lake. She's in a bad shape or even dead, and Wakaba used Midori to heal/resurrect her. Wakaba's kindness and Riri's loneliness is what caused the whole event IMO. We don't know the details of how she died the first time, but we are not given any indication that Wakaba had anything to do with it. What we do know is that he was directly responsible for her being brought back from the dead, that it was against the rules, and that it doesn't appear to be normal for living humans to be present in the strange engineered space that Wakaba lives and works in. At one point he even asks her if she would prefer to be returned to her original existence and she declines saying that her parents are gone and those who knew her have moved on after her death. She prefers her new life with Wakaba and wants to stay there with him. It's not out righted stated, but this seems to imply that the reason the girl is there in the world of the kemurikusa is because Wakaba was soft-hearted and decided to break the rules to resurrect her. There is much that is still nebulous or remains an outright mystery in this story which leaves a lot of room for new information and backstory. It's one of the things I really like about the story telling in this series. I'm sad more people haven't stumbled across this odd little anime. I think as rough as it might be around the edges, there is something special and unique about it that a lot of people are missing out on. I am glad at least Japanese people acknowledge this Anime, the Blu-ray sales topped Amazon Japan's DVD/Blu-ray ranking a few times. I really like how they used the whole episode to show, instead of just telling you what actually happened. I'm so glad to hear this show is seeing some financial success given the messed up real world story behind its creative team. They are basically striking out independently to do this show as a passion project after being badly burned by the corporate world of anime production committees and media giants during their previous work. 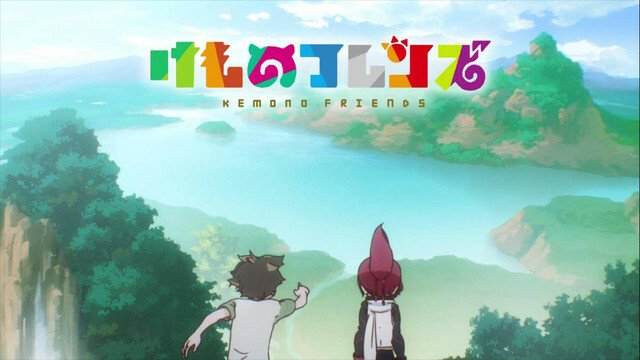 I think it is important for people to keep an eye out and to try and support independent or original projects like this so that we can help keep variety alive in the world of anime. Everyone always complains when we see tired old intellectual properties milked to death in order to make yet another sequel, of a sequel, of prequel, of a reboot. One way we can make sure creators get to keep experimenting and making new stuff is reward them financially when they do so, particularly when they get it right. At the very least when people see some unknown new anime that looks different they should consider giving it a try rather than overlooking it to go watch the 50th season of One Piece or Dragon Ball and then complaining how the industry never puts out any new good stuff. I'm not trying to diss One Piece or Dragon Ball, but rather just suggesting people should throw in something new and spicy to go along with their old tried and true main courses or we are all going to end up stuck eating nothing but the same hamburger for the rest of time. It always makes me sad to see so many really quite good anime just get completely overlooked each season not for a lack of quality but rather for a lack of visibility, interest and the will to maybe try something new and different. Kemuikusa is a bit rough around the edges and can't really be called a masterpiece, but it marches to the beat of a different drum and it is a pretty compelling little series for those who like this sort of story telling. I hope this creative team is successful enough to keep making new projects in the future. There is much that is still nebulous or remains an outright mystery in this story which leaves a lot of room for new information and backstory. It's one of the things I really like about the story telling in this series. Also, when you take a look at the LN scene nowadays, almost 90% of them are "Isekai" stuff, which makes me feel sad about it. Over-powered protagonist like Slime can be fun to watch, but this is starting to get old. I wish there are more original content like Kemurikusa or A Place further than the Universe, but most anime committee would probably not going to take the risk. Well, I guess it is a bit like the gaming industry, which AAA titles are basically same kind of stuffs, and we have a better chance finding gem in the indies. Wow. Episodes 10 and 11 really opened things up. It gave credence to Wakaba's behavior and did a rather nice job filling in the world building. I won't accept that Ritsu or treebuses were a mistake though. The intimacy displayed across Rin's face as Wakaba fiddled with her memory leaf was a nice touch. I also liked hearing Wakaba's cries in the background of the memory. It let the tension grow right along with reveal of the red kemurikusa. It's a good thing Wakaba had the good sense to use protection. The finale was a little cheesy with its surprises and action animation, but it was also fun. It's telling how much they saved for this from other scenes and I wish they had more budget. I hope the staff can really grow from this. I'm not sure I buy into the potency or timing of that last recovery, but you can see his last memento there hanging out the back of his pants in the above picture. Perhaps it was sparked by Midori blossoming right overhead to clear out all the redness. Seeing the breech in the "ship" was surprising. I guess the collapse of everything made it really pop. When it flowed by it seemed to reveal a bit of symbolism in the ending animation - particularly there in the lower left. It would seem Wakaba and Riri's past has been cleared and they can live on through their new forms. I actually kind of wish it ended mysteriously without the after credits scene. It would have left their next adventure more interesting to me. Ah, well... We still got to see a nice scene of Rin finally accepting her medicine. Love and Peace, Rock My Song. There are some really good original LN stories out there as well, but unfortunately they generally are not the ones that get promoted well or become big names that get anime adaptions. I totally agree with you that in the sea of isekai trash there aren't that many gems among the flotsam. The only isekai that is getting an anime that I have read and really liked is Kumo Desu ga, Nani ka? and it's precisely because it's so different from the usual archetypal isekia story. Sadly it's for this same exact reason that I think it will be next to impossible to adapt it properly. As for Kemurikusa, it a had a pretty satisfying and bittersweet ending albeit lacking a bit in the animation department. Despite the production values being a little rough, this series was a breath of fresh air and I'm glad I picked it up this season. It's interesting that the entire world they were trapped in appears to have been contained within the hull of a massive space ship. I'm not really sure where the story could go from here aside for maybe some sort of epilogue OVA so I doubt we will get a season 2, but I hope to see more work from this creative team in the future. I agree that this last episode was a bit different in style. I'd have been happier if Kemurikusa were able to do something else, but I'm plenty happy with what it did — and the show did earn a big fight. Though Wakaba pretty much died three times this episode. And grew back. He seems to do that. He is an alien, I guess. And Rin lost some limbs too. Hmm; I guess it was right for there to be a bit of carnage this episode, as the final battle ought to respect how awful the world was, which is something the series acknowledged multiple times. Anyway, the show was adorable and weird. I feel like I'll remember the Rinas most. My friend shows me this and it cracks me up. Seems like they have entered Japari Park. Tatsuki might make episode 12.1 or something like that. Talking about the animation department, irodori doesn't have enough people to work on the project that Tatsuki had to hire background artist and CG/Character designer via Twitter. If Goodsmile release Nendoroid, I would like to buy at least 4. Tatsuki released Episode 12.1 on his twitter and it has been uploaded to irodori's Youtube channel.